Last week’s news of the LDS church opting out of the BSA Varsity and Venturing programs is sad, but not surprising. Sad because those programs could have and should have been leveraged to help further prepare these boys for life… that’s why both programs exist and what boy scouting is all about! However, I’m not surprised at all by this move for reasons I see in my own unit. As I read this announcement and thought about my counterparts both past and present, I imagined the vast majority of those Varsity/Venturing leaders breathing a sigh of relief that they will no longer be nagged about keeping their youth protection current nor having to file tour permits for the two to three outings they do each year (despite that process being terminated back in April). I could see them elated about not being on the hook for Roundtable or Court of Honor attendance (which they weren’t really doing anyway), continuing on as the adult-led Teams/Crews that they have been (because boy-lead is twice as hard) and most rejoicing over the fact that they now have a legitimate reason to say NO to Wood Badge! “We’re no longer part of the BS of A” is what I anticipate the new excuse to be. I have to wonder if this decision would have been made if those programs were strong and run like they are supposed to. In other words, I think this has a lot less to do with the quality of the program and much more to do with adult advisors not getting trained! Did these programs really not meet the needs of the boys? …or did the adults called to oversee these age groups not take the necessary steps to catch the vision and fully realize the importance of their respective programs?? What else makes this so “difficult to implement within the church”? The Varsity program specifically was designed by the church for the church, so I would beg to differ with those that say the problem is with our youth. What will be interesting to see is how this all plays out… especially with the obvious larger/longer-term issues as both organizations face social pressure to change their 100+ year-old policies. I’m also interested in what kind of “structure” will be put in place to make the Young Men experience consistent across the board. Duty To God is going to have to go on steroids. I’ve always felt lucky to be part of the BSA with so much focus on youth development and often wonder how our Young Women cohorts pull off equally important programs without similar support. There’s no formal training for them to attend nor am I familiar with any formal mechanisms for ensuring our daughters get the same YW experience regardless of where they live. Are there such processes? I’m guessing not since Young Women leaders have felt the need to attend Wood Badge. This decision leads to other questions for me as well. Like, how will these older scouts continue to pursue the rank of Eagle as it relates to leadership positions and exercising what they learn through rank advancement? What will they list on their Eagle Scout applications for positions of responsibility? Do they become part of my Boy Scout troop again? What about Mutual nights: do they attend the troop meeting that is working on merit badge requirements and rank advancement or go with their quorum buds who are playing flag football? …and what does all this mean for outdoor activities such as High Adventure, Operation On-Target, On Belay and Kodiak? I’m also can’t wait to see what’s going to make these adults follow this new LDS direction if they wouldn’t follow BSA’s. No one held these brethren accountable for not carrying out the previous BSA way, so who’s going to make sure it’s done the forthcoming LDS way? 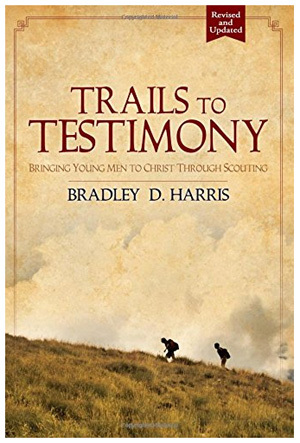 This entry was posted in Duty to God, Miscellaneous, Varsity Scouting and tagged adult leaders, adult training, divorce, eagle scout, lds scouting, lds-bsa relationships, scouting, varsity scout leaders, varsity scouts, venturing, wood badge, young men, young women. Bookmark the permalink. I agree with your comments. I’m also concerned about the future of our young man. Where are they going to get the leadership training and the experience of doing new things? Scouting has allowed my son and I to go out into the wilderness and grow close to one another. I have seen my son do hard things on his own, and I’ve seen him grow from a boy into a great young man with a testimony of the gospel of Jesus Christ. He enjoys helping other people. He’s a good student in school, he has taught me so much by the example he sets for all to see. My son is one of my hero’s. Your message and concerns are spot on. We in the LDS Church have never had a program problem with our youth; we’ve have a leadership problem. Consequently, we’ve really never had a problem with the BSA; we have a problem in the Church. 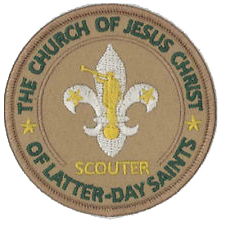 Now that the excuses regarding the BSA are no longer viable, it will be interesting to see what excuses some leaders will come up with as to why they aren’t following the Church program for the youth.